Most CRM stop at Sale Force Automation, but Tall Emu CRM allows you to streamline business operations too! After all, the sale is just the start of the process – then you have to deliver! If you’re selling physical products, delivery might be as simple as arranging a shipment and sending it – with Tall Emu CRM you’re able to manage outbound shipments, including online freight booking with Temando. If you are more project based – then you may need to use our project management module, which allows projects and tasks to be created, managed, grouped and reported on. 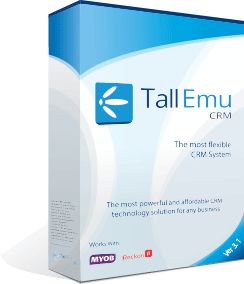 Whatever the business need – Tall Emu’s CRM and automation tools are able to be customised and configured to suit them to help your business become more efficient and do more with less. What shipment KPI are available?